lil chung's lil adventures: Paczki Day! I've been trying hard to keep my paczki on paczki day (Fat Tuesday) tradition alive for the past four years. 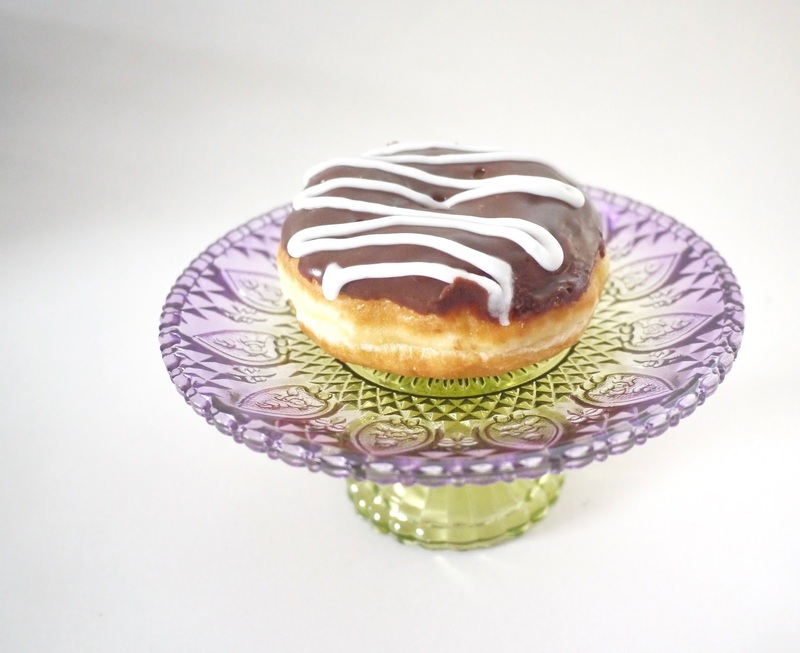 Let me refresh your memories on paczki: a Polish filled donut eaten on Fat Tuesday. It's one way to indulge before the Lent season. They're pretty ubiquitous in cities with large Polish communities like Chicago, Detroit and Buffalo. It's been a little difficult to find paczki since moving away from Buffalo and last year's authentic Polish treat from a local Houston Polish deli yielded subpar results. And making them was also not too wonderful. This year I decided live vicariously through the fam when I demanded that my sista Melissa grab some at a bakery near the parentals' house when I found out they started selling paczki last Thursday. Central Continental Bakery sells over 50,000 during the few days leading up to Ash Wednesday. And there are over 50 kinds available. The family absolutely love their paczki. They had banana, lady godiva (a chocolate custard filled one) and a boston cream pie. Sista said the chocolate custard is what made the paczki---it's to die for! Today, I followed her lead and got a filled donut from my favorite donut shop here in Houston: Hugs and Donuts. I emailed them a few weeks ago to ask if they'd have paczki but they only sold King Cake donuts today. My Drunk Boston filled donut was so fluffy and boozy and totally delicious that I'll just make today filled donut day when I can't have access to proper paczki. Or I may have to make a trip to Chicago every year to have some at Central Continental Bakery. 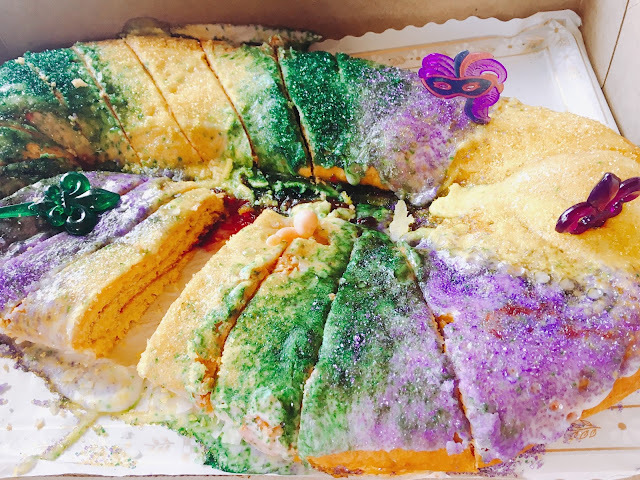 On a side note: Recently I ate another Fat Tuesday traditional pastry: king cake! I had one once ten years ago and didn't remember anything besides the little baby in the cake. According to my research, it's traditionally a cinnamon bread cake topped with sugar or icing. To me, it seemed like a glorified, very sweet coffee cake.